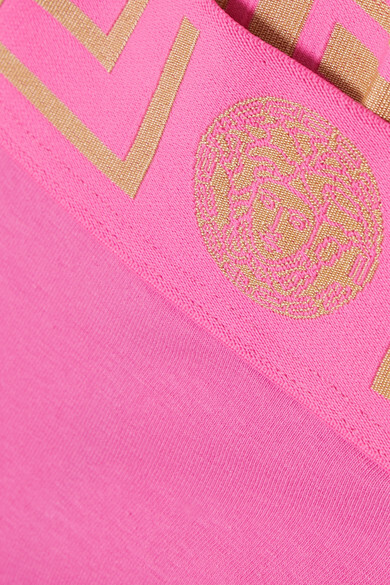 Cut from vibrant pink cotton-jersey, Versace's briefs have a flattering high-rise with an extra-wide waistband to help sculpt your figure. They're decorated with the iconic gilded Medusa motif. Wear yours with the matching bra.